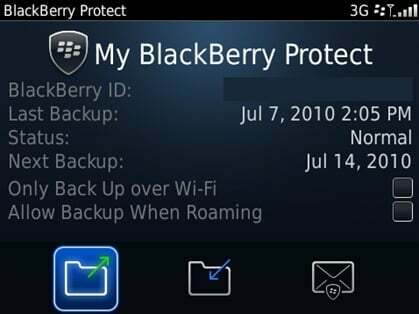 Research In Motion (RIM) has come up with a new security application called Blackberry protect. The security app is similar to Nokia wave secure.In short this app can be used for protection against data lost, theft,etc. However Blackberry protect application is currently in beta phase and one can download the application from blackberry Beta zone using a invite code. As soon as you are finished with the installation and registration part you will given the option to backup your contacts, calendar, memos, tasks, browser bookmarks and text messages. You may also enable an automatic backup action on daily, weekly or monthly basis. Really superb application with lots of security and helpful features. But should Be available free of cost when it will come in final version.